As the Lord wills and enables, I intend to post more often, and in a somewhat new direction. I took a necessary hiatus, a long one, because I knew my life wasn’t right; I also suspected that I was off on a very key doctrine — that being, repentance. Suffice to say, I want nothing to do with that form of “Christianity” that promotes, and glorifies, “mental assent alone” as true biblical faith, to the neglect (or even absence) of true, spiritual, God-wrought repentance, dedication, obedience, and zeal for all truth. Too much of what passes for Christianity is empty and vain notionalism. True Christianity is a daily (minute by minute) battle, a struggle, a warfare, and it isn’t one that is waged primarily on Facebook (as doctrines are debated academically with little practical value or effect). True Christianity is casting all, even every aspect of life, onto Jesus. It is being willing to challenge and change every social, political, and religious paradigm, any and all of our views, when they do not align with the Bible, the inerrant word of the almighty God. 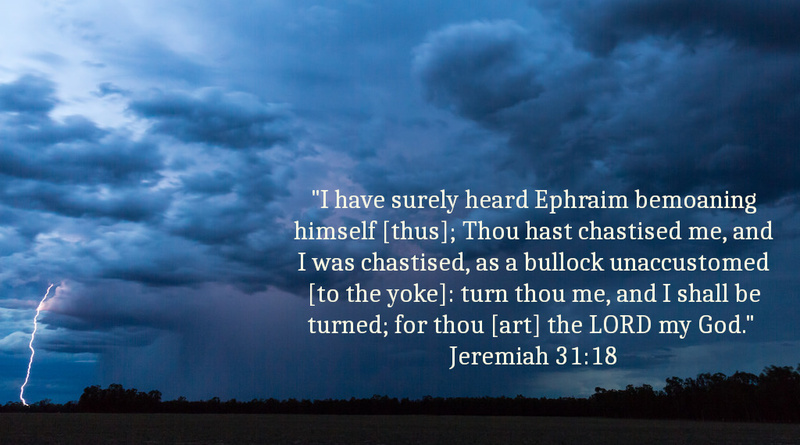 True religion also manifests as a hungering after the yoke of Christ, and a subjection to His will and lordship, praying that He will more and more break the yoke of self from off of us, as He guides us into all Truth by His Spirit. Far too often, our doctrines and lifestyles reflect our desire to have one foot in this world, and one foot in His. It cannot be. We must say NO! to the nonsense that binds us to the temporal; and that drags us down, keeping us from following after Him wholeheartedly. True religion cannot be all in the head, all in the typed word, or all in the mouth; true Christianity equals a radical departure from one’s old ways of life, a true changing of the heart and mind, and a complete turning unto God, His Christ, and His rule of life (which is the Bible, as spiritually-wielded by the Holy Spirit). Finally, I want to know the Lord Jesus; I want to deeply, powerfully, and one day infinitely know Him. I want, right now, to live in/by Him, and I trust that a walk consisting of that true knowing, and that true living, will have a real-world, manifest, effect and appearance. I do not want to walk the same as I walked when I first learned of the Lord, let alone walk as I walked before knowing Him. I (we) must learn to guard the eye, the ear, the heart, and the tongue. Play time is over, in other words, it’s time to stop playing games with God and His word. Christianity is real; the Second Coming is real; Hell (eternal damnation, not annihilation like the hereticks promote) is real; and that means living like it is all real. God help me; God help us all — even all who are in Him. May He make us hunger and thirst after Him (for He is our righteousness) to the point wherein we can be satisfied with NOTHING else. He is worthy. To God, in Christ Jesus, be the glory! Forever and ever.